The hCG diet involves extreme calorie restriction. It is often panned by medical professionals due to the high risk of side effects and damage to the body. Human chorionic gonadotropin (hCG) is the hormone that is used to suppress hunger, triggering your body's use of stored fat for fuel. The hormone is frequently found in the urine of pregnant women as their hormones signal that they need to consume more to feed the growing fetus. The hCG diet promotes a regimen where followers limit their calorie intake. Patients will also take injections of hCG or apply drops of the hormone on the tongue to encourage the body to burn fat throughout the body. While this method can theoretically help you lose several pounds in a day, many nutritionists and professional dieticians dispute that these claims are inaccurate. The hCG diet side effects can be very dangerous and uncomfortable for the dieter. For more useful information about it, keep reading. 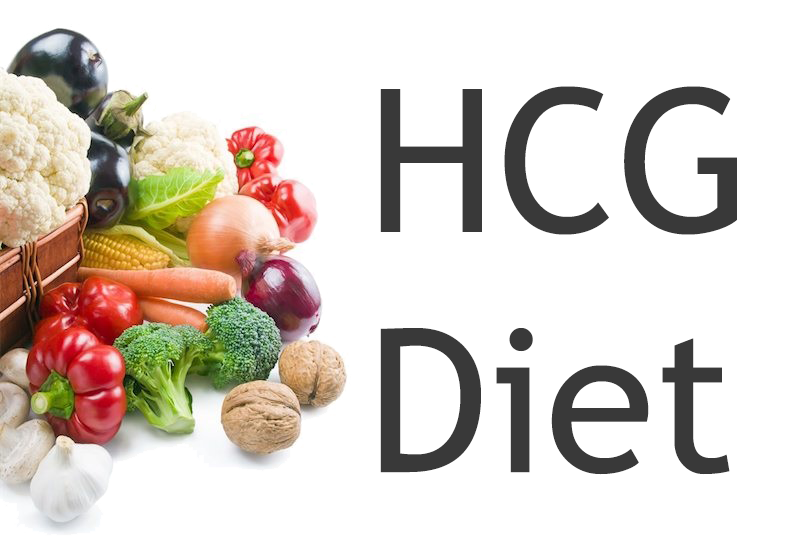 How Does an hCG Diet Work? The diet revolves around the idea that using the hormone will encourage the body to burn excess body fat instead of needing to take in additional calories. Patients will give themselves regular injections or ingest hCG hormones. These injections should take place over a period of 45 days to help reset the metabolism. During this time, patients will restrict their calorie intake to help promote weight loss. Some plans encourage followers to eat as little as 500 calories a day while using this system. Scientific evidence behind the use of hCG hormones as part of a diet plan is significantly lacking. Studies published in the British Journal of Clinical Pharmacology show that hCG is not effective in promoting weight loss. Physicians do not recommend using this hormone as a way to promote weight loss. No products containing hCG have been approved by the FDA. The Federal Trade Commission is limiting on allowing companies that produce hCG products from importing them in the United States. What's worse, a number of dangerous side effects are associated with the use of hCG as part of a diet regimen. So hCG should only be used under direct medical supervision. A Lack of Nutrition. This kind of diets demand that followers cut their daily calorie intake down to 500-800 calories. In most cases this means that the patient will not be getting the adequate amount of nutrition to maintain their body properly. Low calorie diets that promote starvation tendencies can also increase the patient's risk of developing gallstones. The body may also begin to break down muscle as well as fat to supply calories to satisfy prolonged hunger caused by this severe dieting regimen. Patients who plan to take on an hCG diet should work closely with a medical professional to design a diet plan that will help them take in their necessary nutrients while restricting their calorie intake. Weight Return. The weight loss associated with an hCG diet is dependent on the patient using hormone injections to maintain a specific metabolic level. The patient will also be promoting starvation behavior in their body by limiting their calorie intake in an extreme way. Both of these practices increase your risk of rapid weight gain after the dieting program is complete. This rapid weight gain after the diet will then increase your health risks commonly associated with obesity such as heart disease. Other Risks. Taking hormone treatments without following the instructions can lead to an increased risk of side effects. These include depression, fatigue, headache, irritability and restlessness. The risk of developing conditions such as blood clots, ovarian cysts and testicular tumorsalso increases when using hCG. Certain groups should not use hCG hormones due to the increased risk of severe hCG diet side effects. Talk with your doctor about these risks before agreeing to use an this kinf od diet to lose weight. Pregnancy and Breastfeeding. The body naturally dispels the hCG hormone during pregnancy. Artificially increasing these hormone levels can be dangerous, increasing your risk of birth defects. Limiting your calorie intake or failing to get proper nutrition while pregnant can also increase your risk that the baby will not develop properly. If vital nutrients such as calcium are not supplied from your diet, the body may begin leeching these nutrients from the bones and muscles to feed the growing fetus, increasing the risk that the mother will suffer health trouble during her pregnancy. There is no research that has determined whether or not the hCG diet is safe to undertake while breastfeeding. Given the lack of adequate nutrition that is risked by this diet, it is widely advised that women avoid taking on it while they are breastfeeding. Prostate Cancer. The kind of diet has been shown to increase the risk of developing testicular tumors. Those that have a high risk of developing prostate cancer or those that are already undergoing treatment for prostate cancer should not take on an hCG diet. This can make their cancer worse. Diets that make extreme claims about your ability to lose a great deal of weight usually promise better results than you can expect. However, you should pay attention to hCG diet side effects and studies frequently show that the use of extreme diets offer more risks than benefits. Instead of putting your body at risk by trying diets that include risky practices like injecting hCG hormones, stick with diets that are safe and have scientific backing proving their success.